Situated in North Staffordshire, Hanley, Burslem, Stoke, Fenton, Tunstall and Longton form the city of Stoke on Trent, well known as the potteries. 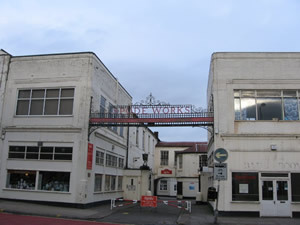 Like many manufacturing towns Stoke on Trent suffered from the decline in manufacturing in the 1980-90s however the town still has its reputation for producing world-class pottery. The city is also a popular visiting place for tourists - it is ideally located for the Peak District, for example - and pottery tours and canal trips remain popular things to do. For example, the town is home to the Trent and Mersey Canal and the Cauldon Canal. The town is also now home to approximately 100 miles of off-road cycle paths via the National Cycle Network. There are also various parks in the town and, of course, the Peak District National Park is within easy reach. 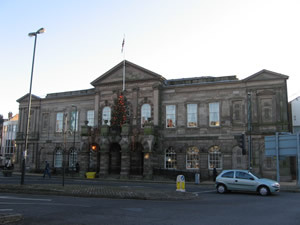 Stoke on Trent has long been considered to be an artistic hub and there are plenty of theatres and an arts cinema in the town. 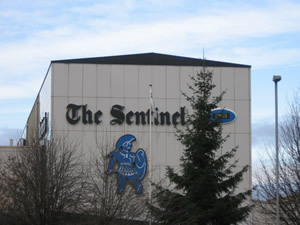 The Hanley area of the town is often the most popular entertainment district with a range of restaurants, pubs, clubs and theatres. The town has seen significant investment in recent years and offers a range of shopping and entertainment options for residents and visitors. 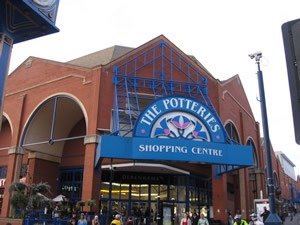 These include factory shops, independent outlets and The Potteries Shopping Centre. The city has a variety of attractions for both residents and visitors alike. 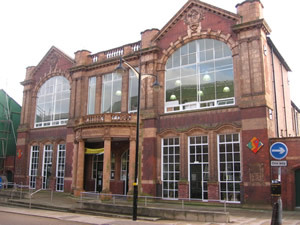 For example, the Potteries Museum and Art Gallery holds an excellent collection of ceramics; the Etruria Industrial Museum looks at the area’s industrial past; and, visitors can visit the Middleport area and look at the world’s oldest remaining Victorian pottery that still works (Burleigh). Stoke on Trent is most famous for the renowned pottery industry and whilst there is a large amount of industry in the area, it is filled with culture, history, surrounded by beautiful countryside and has a diverse population. Located in Staffordshire, Stoke on Trent was originally formed by the bringing together of six individual towns in the area into one conurbation (initially known as Stoke Upon Trent) early in the 20th century. The town has long been considered to be the centre of the pottery industry in Britain (hence its other name of The Potteries). 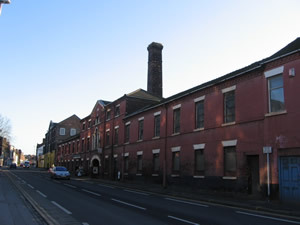 Stoke on Trent’s pottery industry includes some of the best known names such as Spode, Wedgwood, Minton and Royal Doulton. The town’s industry ended up concentrating so much on the pottery industry because the area is rich in the clay and coal necessary for its production. The Trent and Mersey Canal also played a part here as it allowed producers to bring in Cornish clay which helped then develop specialist pottery such as bone china. The town has also got strong historic links with coal mining and iron and steel making. The name Stoke is taken from the town of Stoke-upon-Trent, the original ancient parish, with other settlements being chapelries. 'Stoke' derives from the Old English stoc, a word that at first meant little more than a 'place', but which subsequently gained more specific – but divergent – connotations. These variant meanings included 'dairy farm', 'secondary or dependent place or farm', 'summer pasture', 'crossing place', 'meeting place' and 'place of worship'. It is not known which of these was intended here, and all are feasible. The most frequently suggested interpretations derive from a crossing point on the Roman road that ran from present-day Derby to Chesterton or the early presence of a church, said to have been founded in 670. Because 'Stoke' was such a common name for a settlement, some kind of distinguishing affix was usually added later, in this case the name of the river. The motto of Stoke-on-Trent is Vis Unita Fortior which can be translated as: United Strength is Stronger, or Strength United is the More Powerful or A United Force is Stronger. Other industries have also occupied important roles in the development of the city both before and after federation. Notably the iron and steel making industry located in the valley at Goldendale and Shelton below the hill towns of Tunstall, Burslem and Hanley. Shelton Steel Works production of steel ended in 1978 and the final parts of the plant closed in 2002 From 1864 to 1927 Stoke housed the repair shops of the North Staffordshire Railway and was also the home from 1881 to 1930 of independent railway locomotive manufacturers Kerr Stuart & Co. Ltd.
Shelton Steel Works as well as the mining operations were heavily involved in the World War II industrial effort. Central to the RAF's success was the Supermarine Spitfire designed by Reginald Mitchell who, whilst born in nearby Talke, had his apprenticeship at Kerr Stuart & Co. Ltd's railway works. 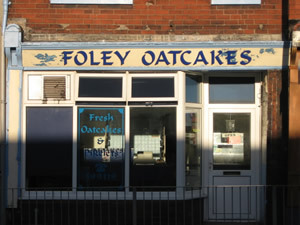 Stoke on Trent has a local favourite food, The Staffordshire Oatcake, a delicious pancake made with oats, served with cheese or breakfast type foods. ©2019 - visualstaffordshire.co.uk is owned and operated by SafetyNet Systems Ltd.